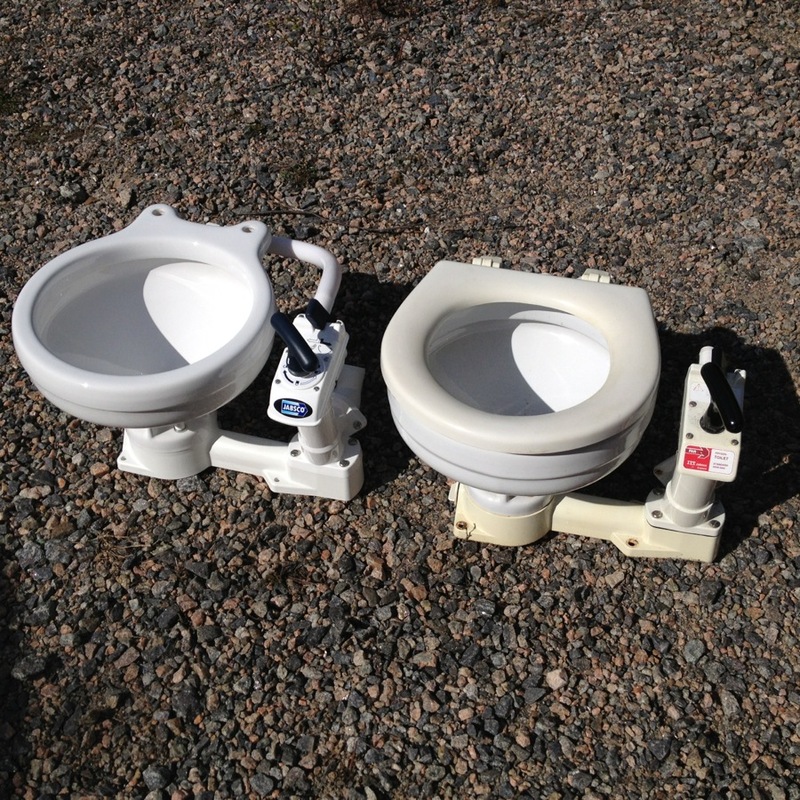 The new toilet is one of the few investments that we are making for this season. We decided to replace the old one, because it had started to smell a bit. The main culprit for this was a small crack at the base of the toilet seat. Two years ago I managed to seal this leak with Cpt. 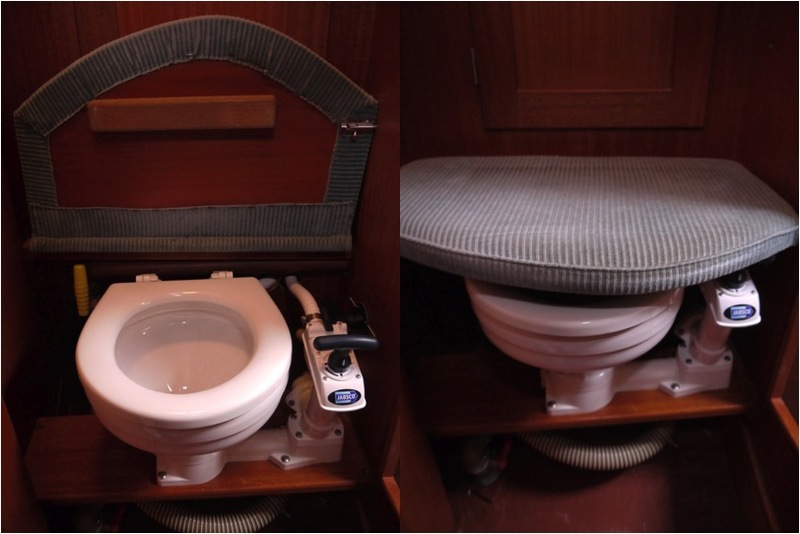 Tolley's Creeping Crack Cure, but obviously this was not a long term solution, since the toilet seat easily gets a bit of beating when used at sea. This is especially true in our boat, where the toilet is located sideways and rather close to the bow, so just staying on the toilet seat sometimes requires acrobatic maneuvers. brushing your teeth for example. 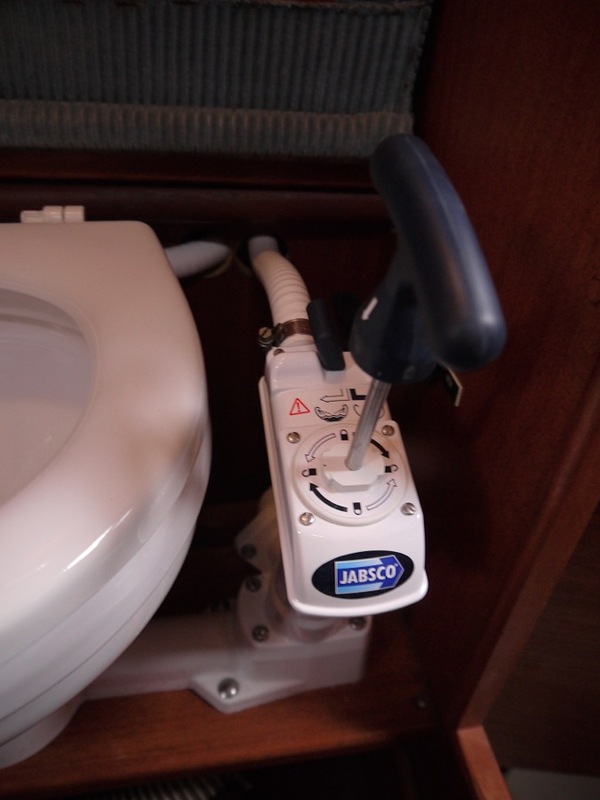 A smart dual purpose in a small boat. which guards against flooding and waste backflow.